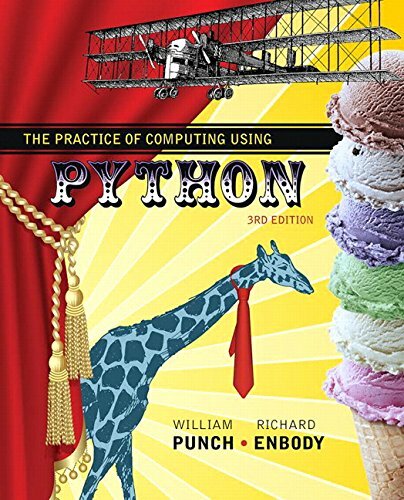 Practice of Computing Using Python continues to effectively introduce readers to computational thinking using Python, with a strong emphasis on problem solving through computer science. The authors have chosen Python for its simplicity, powerful built-in data structures, advanced control constructs, and practicality. The text is built from the ground up for Python programming, rather than having been translated from Java or C++. Focusing on data manipulation and analysis as a theme, the text allows readers to work on real problems using Internet-sourced or self-generated data sets that represent their own work and interests. The authors also emphasize program development and provide readers of all backgrounds with a practical foundation in programming that suit their needs. Among other changes, the Third Edition incorporates a switch to the Anaconda distribution, the SPYDER IDE, and a focus on debugging and GUIs.